Feed your skin with nontoxic beauty ingredients. It will make a big difference correcting skin and complexion problems. Do you have complexion problems? Does your skin itch? Are your lips cracking? 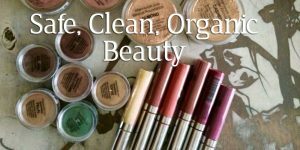 You might need to rethink the beauty products that you are currently using. Sadly, there are often toxic ingredients in our beauty products, which makes our skin break out, itch, flake, crack, turn red, or even worse. The current law does not require cosmetic products and ingredients, other than color additives, to have FDA approval before they go to market. The FDA can send warning letters to companies that use misleading marketing claims or deceptive packaging, or that don’t disclose relevant safety warnings, or whose ingredients seem to be causing harm to users, but it can’t force companies to recall products. That’s done by companies on a voluntary basis. Companies don’t have to list a product’s ingredients. They’ve gotten away with it by claiming that doing so would give away trade secrets. The current law does not require cosmetic companies to share their safety information with the FDA. The agency relies on direct reports of adverse reactions from consumers. What’s more, manufacturers don’t have to report health complaints to the FDA. In the European Union there are more than a thousand chemicals banned from use in personal care products. In the U.S., we’ve banned about a dozen! We need to rethink how beauty products today are being used, not only on grown women, but especially on newborns, children and pregnant mothers. There is a pressing need for stiffer oversight of safety standards for beauty products, including skin creams, deodorants, hair dyes, shampoo, makeup and mascara. Require manufacturers to submit complaints to the FDA. Mandate companies submit their complete list of ingredients. Allow the FDA to order recalls. Require the FDA to test at least five ingredients a year for safety. The Environmental Working Group (EWG) is also actively involved in better cosmetic safety regulations. Earlier this year they launched a campaign called #BeautyMadeBetter. It’s supported by Senator Tammy Baldwin to ensure that there are better protections from toxic chemicals in cosmetic products. And supported by Kourtney Kardashian who went to Capitol Hill to advocate new legislation. But there is still much work to be done as efforts have been underway for five years and still no new law has been passed. 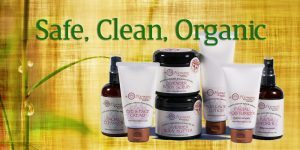 The key ingredient in in Harmony Naturals’ skin care line is organic, aloe vera juice. Compare it to many leading brands which use water as the first ingredient. Aloe is known for its healing properties – correcting blemishes, dryness and redness. What can you do about it? Start by reading the labels and understanding what ingredients you are actually purchasing. This is a case of the more you know, the more you will be able to protect yourself. And then there are the misleading claims. Did you know that companies can say they are organic when only a small percentage of the product is? They can do this because terms like organic aren’t regulated. The same thing is true for words like hypoallergenic, which is really disturbing if you have sensitive skin or are prone to allergies. In addition, verify that what is said on the front of the label is supported by the ingredient list. For example, a manufacturer might say that you’re buying organic aloe vera juice, but when you flip the container over, you’ll discover that the aloe is actually the last ingredient on a long list of preservatives and fillers, none of which help your complexion, and some of which may actually aggravate it. 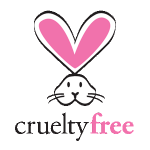 In summary, don’t support beauty brands that aren’t offering clean, safe ingredients! Next post: Beauty Products Made Safe for Cancer Patients & Those Wishing to Prevent It!